Can you jump to the sky? "Let's do 4 small jumps, listen to the instructions. Ready 4 3 2 1"
"Let's do small squats 4 3 2 1"
"Crouch down and jump like a frog 4 3 2 1"
Flipperty flop, I'm a bullfrog. The tempo is the speed of the beat. 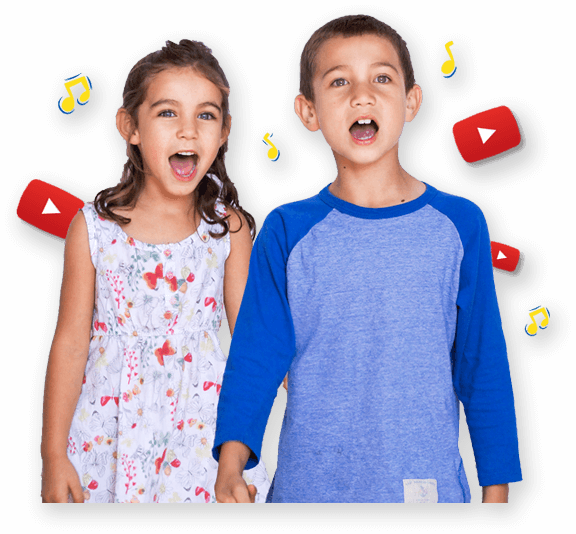 Listen to the song and ask children to choose two sound sources e.g. body percussion (tap chest), found sound (tap desk or floor) or an instrument - choose one sound source to play the slower sections of the song and another sound source to play the faster sections of the song. Play the song - create movements to match the words in the song. Ask children which of the moves made their heart beat faster? Are there any other jumps that they can think of? E.g. star jump, side jump etc. Draw or paint a picture of a frog. What is a locomotor move? A movement in which the body travels across space (running, creeping, rolling). What is a non-locomotor move? A movement in which the body remains anchored to one spot by a body part (for example, bending, twisting, stretching). What kind of movements can you spot in the song?